From 18 – 28 October the fourth edition of the Madeira Organ Festival will take place. With a programme centred on the works of the great European composers, in a variety of genres and repertories, from the renaissance to the present time, this is an event that has assumed the greatest importance in the annual cultural timetable of the Autonomous Region, on account of the quality and originality it offers in the context of the programming of our annual festivals. Created four years ago as part of the “Madeira Cultural Festivals” project, the Organ Festival is the final event in the strategy developed over the course of more than a decade of restoration of the historical organs of the Region, numbering more than twenty instruments of the Iberian, Italian and English schools, which continue to function in the churches of Madeira. Over the years, after the work of organological inventorying and description, there followed the methodical restoration of a number of these instruments, and the recording and publishing of a number of CDs, with different repertories appropriate for each organ in order to facilitate its dissemination. This process of preserving our heritage became even more visible with the publication of the book Organs of the Churches of Madeira. Finally, joining the two extremes of an entire process moving from research and cataloguing to the making known and exploitation of this singular aspect of our heritage, we have the creation and execution of a great Organ Festival, in which we seek to show in close conjunction the multiple forms of beauty, historically manifest in the art of space (architecture) and the art of time (music), once again connected here in the aesthetic fruition that only culture can provide. Today, the Region of Madeira has eight restored historical organs, as well as the great organ build from scratch for the church of the Colégio, whose use is crucial in the programming of the Festival. Throughout this process of restoration, special mention must be made of the master organist Dinarte Machado, with regard to the restoration, and the contribution of organist João Vaz to the programming and artistic direction of the Festival, both profoundly knowledgeable concerning the richness and diversity of our organ heritage, and who have always participated with great enthusiasm and professional sensitivity in the process that led to the Madeira Organ Festival. To increase, improve and diversify what culture has to offer, always attracting new audiences, is one of the main objectives of the “Madeira Cultural Festivals” project, supported by European Community funds, which, as a brand promoted by the Regional Secretariat for Culture, Tourism and Transport, will certainly find in this fourth edition of the Organ Festival – by means of the interchanges and the interest to which it gives rise – a very particular manifestation of this objective: to see the increase in audiences, both residents and visitors, promoting the best of our heritage and artistic identity in the wider market of cultural tourism. “The pipe organ should be held in great esteem in the Latin Church, the traditional musical instrument whose sound is able to confer upon services an extraordinary splendor and powerfully lift the spirit to God”. These words from the constitution Sacrossanctum Concilium on the holy liturgy, published in December 1963, after the Second Vatican Council, not only underline the old connection between the organ and the liturgy, but seem to reflect the unique dimension that, throughout the ages, composers have seen in the instrument. Indeed, throughout its history, both in and outside the liturgical context, the organ, on account of its dynamic range, its timbral richness and, above all, its unequalled ability to prolong sound into infinity, showed it to be peculiarly appropriate for the expression of an indefinable reality. The Madeira Organ Festival crowns a consistent process of discovery, widening and dissemination of the organ heritage of Madeira, developed over more than a decade by the Regional Government of Madeira. 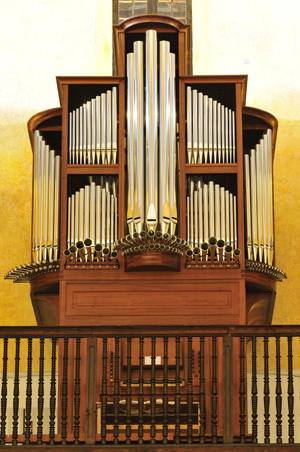 During the last three years, the Madeira Organ Festival has endeavoured to bring this heritage to the fore, demonstrating the multiple facets of the organ and the specificities of each of the organs extant in the Region, at the same time making known the immense richness and variety of the organ repertoire and fomenting, with the collaboration of the Church, the participation of the organ in the cultural and social life of Madeira. 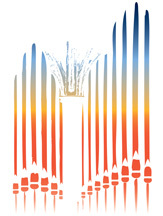 The programming of this fourth edition of the Madeira Organ Festival, which once again enjoys the participation of artists of recognized national and international significance, includes a repertoire that covers more than five centuries (showing the organ not only as a solo instrument, but also together with the voice, the trumpet, the saxophone and percussion), a lecture on the role of the organ in current liturgy and a particular focus on improvisation – an art that has always been associated with organ performance. Spirituality is something that links all these different programmes together, and appears both in music written specifically for liturgical purposes (whether Catholic or Protestant), and in works whose inspiration may be found in human values such as the balance of life or peace and concord between peoples.